Quick start guides are becoming more popular by the day. This statement somehow suggests that quick start guides are still in their infancy. This, in turn, may imply that there are not that many examples of high-quality quick start guides around. This is not true, especially when it comes to quick start guides without… text. What makes a quick start guide a high-quality quick start guide? Opinions on how to answer this question may differ. But there are most certainly some rules of thumb as to what defines a high-quality quick start guide. First, a quick start guide should exclusively (or at least: mainly) consist of illustrations. Users tend to understand illustrations much faster and better than text. Research has shown this over-and-over again. Second, a quick start guide has to be compact. Its appearance does not really matter that much. The quick start guide could be a 4 pages booklet, or a folded card, or a plastic-coated sheet of paper. What really matters is that a quick start guide should not contain more than 1/10th of the information of the accompanying manual. Last but not least: a quick start guide should stress the use of a product or the assembly/installation of it, not both at the same time. If a quick start guide stresses both use and assembly/installation, it becomes too much of a ‘heavy’ manual, scaring people off. Of course, it is no problem to give some attention to an assembly/installation procedure after which one could concentrate on the daily use of the product. But if both aspects are presented to the reader in equal measure, the reader may perceive the QSG as a full-blown manual. In this article, two examples of high-quality quick start guides make clear that the distinction between daily use and assembly/installation can really work. The first example is that of a portable radio. The second example is that of a charcoal barbecue cooker. 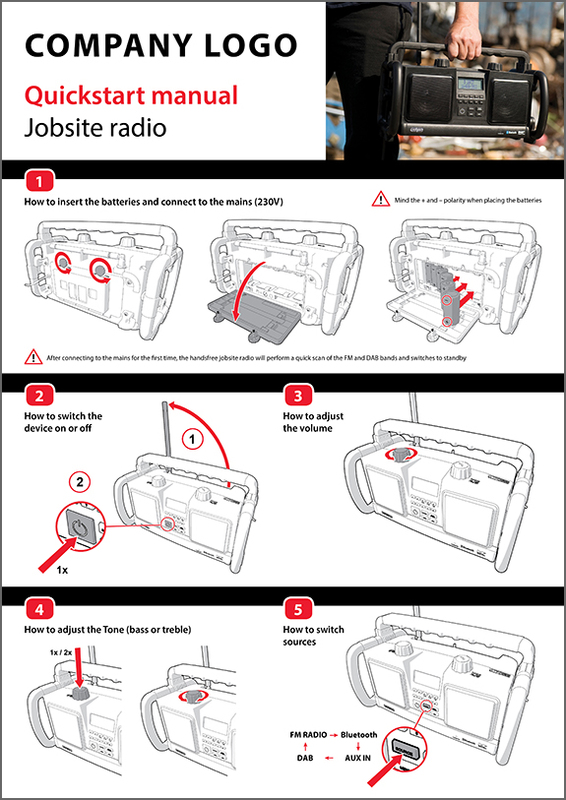 Below, a quick start guide is highlighting the basic functions of a portable radio. A quick start guide for a portable radio: five illustrations make perfectly clear how to use a portable radio. The first illustration addresses the installation of the radio. After all, there has to be a power source somewhere (mains or batteries). But the installation part is dealt with in only one drawing. – selecting the right source (FM radio, DAB radio, Bluetooth or Aux In; ill. 5). By using the basic functions, the radio gives up its secrets quite easily and can be used to its full extent right away. By arranging all basic functions the way it is done in this example, the second turning knob on the radio cannot have another function than the tuning function. A quick start guide could also highlight a specific assembly procedure. This is the case in the example below. 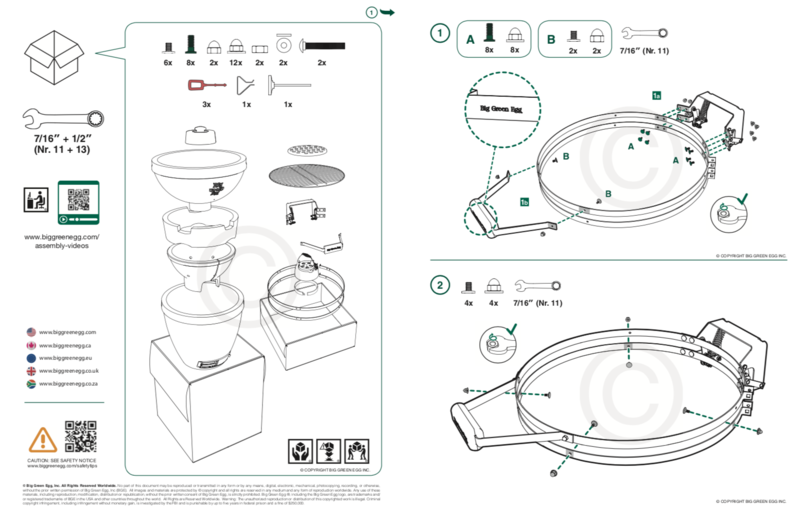 The illustrations explain the assembly of a charcoal barbecue cooker. 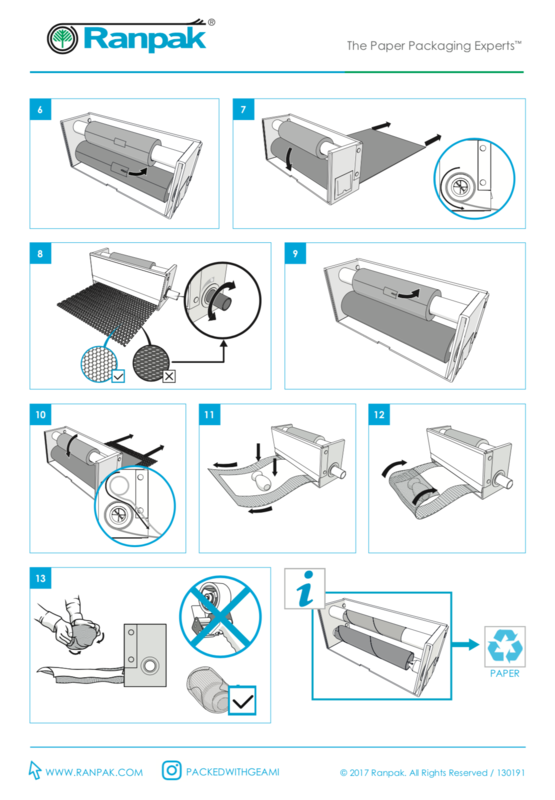 The barbecue cooker has to be assembled first before users can actually use it as a steam cooker. This assembly procedure can be written down in words, of course. However, in terms of understandibility, it is a much better idea to give the assembly procedure a visual character, using clear-cut illustrations only. Apart from a higher level of understandability, there is an additional bonus when using illustrations: there are no translation costs involved. Talking of costs: fortunately, more often than not it isn’t necessary for a technical illustrator to draw from scratch. When the manufacturer has a 3D archive with CAD drawings of the product in question, technical illustrators can use these CAD files to extract their own relevant illustrations from. For example, a technical illustrator could highlight a certain part of the product by giving it a specific color or a specific shade of gray. He could also add an arrow to signify some kind of action. A technical illustrator can draw from scratch or adjust existing CAD drawings. Whatever the source of the illustrations, highlighting relevant parts of the product (here a packaging machine) is always very important. A company that specializes in ‘visual only’ quick start guides, is Manualise from the Dutch city of Delft, a city renowned for its high-tech character and its high-tech university. The company takes pride in the fact that its expertise is being used by clients with both a local and a worldwide presence.